So I got it back from the dealers yesterday all working. It was my own fault, when I fitted the Evotech tail tidy I pinched one of the wires. This caused the rear light cluster to fail and (god knows why) blew the front brake switch. Triumph were reasonable and paid for the parts, I paid for labour so can’t really fault them there. Just glad to have a resolution and a working bike. Rode home 40 miles in the pouring rain but still with a smile on my face! This caused the rear light cluster to fail and (god knows why) blew the front brake switch. I had problems with the rear brake light switch blowing. Each time it did, the brake light stayed on, the cruise control and the mobile mode change functionality wouldn't work. Not sure what the issue was, but had it changed twice and it now seems ok. I did that to the indicator wires when I first fitted an Evotech tidy to my previous bike. I even saw fit to mention it in this post (back in April) - but just didn't associate it with the problem you were experiencing. Bought a brand new Speed 94 October 2015 from my local dealer. Very pleased with it and have always used them for services etc. I've had no problems with the bike and have been really pleased with it. Before I put it away for the winter I noticed a couple of small cracks/marks in the instrument glass. I was pissed off, but it was minor and I assumed that I'd knocked it in some way. On getting the bike out a couple of months ago they had got worse and a couple more appeared. Next time i was passing I popped in and asked them to have a look. 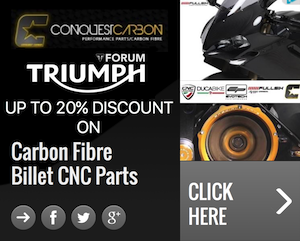 They took pictures and forwarded on to Triumph who duly authorised warranty replacement. The dealer managed to fit me into the workshop yesterday. Whilst handing over the keys I checked to see they had the correct details. They confirmed that they were replacing the instrument glass. Picked the bike up, all done. Happy boy. When I got home I noticed that the odometer was only showing 50 miles as opposed to the 9k + that the bike has done. I'm not happy about this. I've spoken to them this morning and they have said that there's nothing they can do to reinstate the original mileage, but are happy to provide a letter to support that this work was done by an authorised dealer under warranty. Still not happy. I'm looking to move the bike on in the near future and I can't see that this will not affect the value of the bike. I made the point to the chap that phoned me (a director apparently) that faced with two identical bikes with similar mileage, but one with the odometer that tallies, the other that doesn't, but has a letter, I know which of the two I would be buying. Unless of course there were some kind of financial incentive to buy the warranty claim bike. I can't see that this hasn't had a detrimental effect on the value of the bike. So, opinions and experiences please ladies & gentlemen. At the moment I've asked that they write to me with details of what they are proposing to do. Early Honda NC750s had a bug in their firmware which kept resetting the trip - very annoying. Anyway I think most had their instruments replaced under warranty and the mileage was zeroed. Worth noting if you are buying a 2014/15 NC. I'm guessing latest Triumph models are using CAN bus now then? So switches now just talk to a chip using lower voltage and power, probably built down to minimum spec, hence when a fault occurs and they see 12v they can't take it / "computer says no". Had similar on a 2012 Multistrada, LH heated grip failed on edge of warranty, component replaced, computer still said no, suspected wiring fault to be traced (at my expense), at which point I said no, keep it. Then went out and bought a (then new) 2015 94R which has minimal "electronics". Peace and reliability ensued. Put a couple of washers under the seat catch when I first got my 94R to raise catch and make it latch easier. A bit different now on latest 2 part seat models, but might still be relevant. Out today and I noticed oil weeping out the filler cap. Luckily I was near a dealer so popped in there and they replaced the o ring as it was stretched. The other dealer must have overtightened it. I totally forgot about updating this! The bike went in to get the faults investigated, initially I was given a replacement lever the dealer had in stock and they said they'd pass it on to Triumph. When I went back the following week, Triumph had sent them a new clutch lever bracket along with a new lever, not sure if it was any different to the original. The indicator was replaced with no quibble. Finally, all the switch gear was replaced, the tech had stripped them down to investigate, nothing was found but then it wouldn't start so head office sent up replacements. I've since done a fair few miles in all weathers and it's all been fine. I can't fault my dealer either (Edinburgh Triumph), they were great. 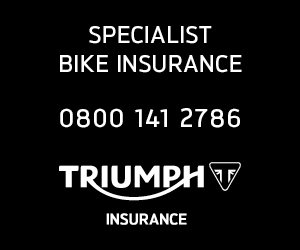 Post here for issues that could come under warranty or have been fixed under warranty, state year, model of bike, what the problem was/is, whether you got it sorted, how and who you contacted. 68 plate speed triple RS shifter issues , from time to time not selecting 4 to 5 th to 6, this makes the bike rev high causing the display to flash red. Almost through me and the wife off. 68 plate speed triple RS. Anyone having issues with QS? No problem with the QS on mine. When I first had it, I did get a few jerky shifts but then realised I was automatically pulling the clutch in slightly, took a while to get used to it properly. I’ve booked into local dealer this Tuesday to have it checked over, I know of 3 people so far having a similar problem, triumph ain’t accepting this at the moment due to not enough complaints being raised. Yes I am, it'll be going back for the second time about this, once the weather picks up. It does Sounds exactly like What's happening to mine, would you keep me posted on if they sort it please mate? If they tell you please pass on the info how they rectified the problem. My brand new RS was pouring oil from the dipstick, turns out there was no o ring at all. Now fixed but some burnt oil stains on the heat shield that won’t come off. They will replace it at first service.